Thanks to Michele Cacano and Struggling Writer for tagging me in this Writing Process Blog Chain. You can find out more about their writing processes on their blogs, A Dream and A Scream for Michele and The Struggling Writer for Struggling Writer. The purpose behind the blog chain is to learn more about fellow writers. Also, if you break the chain, you’re looking at seven years of bad luck. I wasn’t about to risk that, so here goes. An urban fantasy about huldras (telepathic super strong women), shape shifters (who can turn into animals at will and are mostly super hot) and the humans who bumble around in their midst. My main character, novice huldra Jolene Birch, is trying to adjust to her new reality and take control of her powers when she stumbles over the body of a dead shape shifter and find herself framed for murder. Hilarity ensues. I have several other WIPs including a YA science fiction and two murder mysteries, but those are in the “on the shelf” stage. It’s not as dark and gritty as a lot of urban fantasies. I’m not into blood and gore. Death and danger, yes. Intestines and severed limbs, no. There is a murder mystery at the heart of the story. There’s also some romance and humor thrown in. It’s kind of a blend of all the genres I like to read. Because the voices in my head tell me to, of course. Why else? Also, I write what I want to read. I love books that are funny and suspenseful and have female leads who are strong but have a lot of growing to do. There’s got to be at least one love interest, preferably a couple of murders, and if someone has a secret superpower, all the better. I was kidding about the voices. Really. I get ideas all the time. Usually they’re ideas for characters and/or scenes. I like to put my character into situations and imagine how she’d react. Then I start writing the scene. I often don’t end up plotting/outlining until I’ve written a lot of scenes. This doesn’t always work out well for me. I wish I could be more of a planner. Sigh. Next, the piece gets workshopped through my writing group. They are always kind and invariably tough. They don’t let me get away with clichés and plot holes. They only occasionally confuse me with my main character. Then I rewrite. And rewrite. And rewrite. Throw my hands up and start on the next thing. Go back to the original and rewrite some more. I don’t know exactly where all this will end, but that’s the good, bad and the ugly of my writing process. Now it’s my turn to tag another writer. 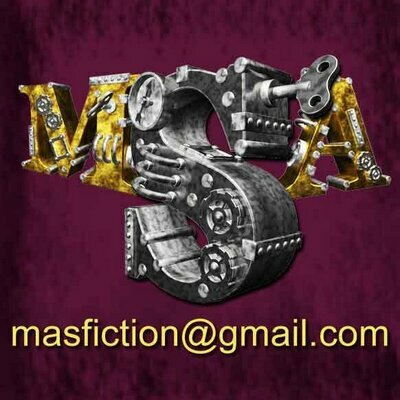 For your reading pleasure, I’ve chosen MA Scott of Masfiction, a spousal writing team that creates extraordinary stories of adventure and romance. They’ve seen reality and it’s not for them.